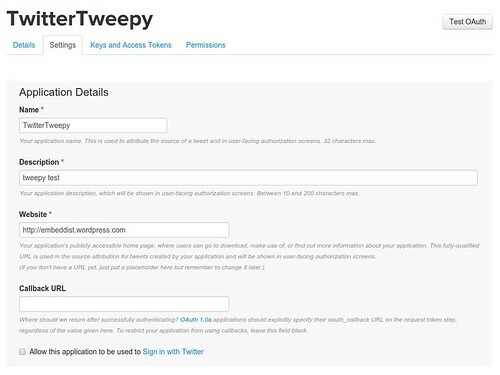 You can write your own twitter’s bot with tweepy which is twitter API library for python. 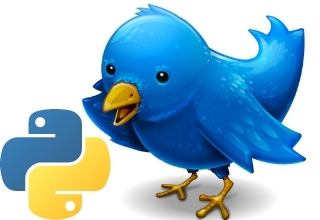 An easy-to-user Python library for accessing the Twitter API. Go https://apps.twitter.com/ and sign with your twitter account to create twitter application. Select the option to create a new application and fill in the required information as like Name, Description and Website. 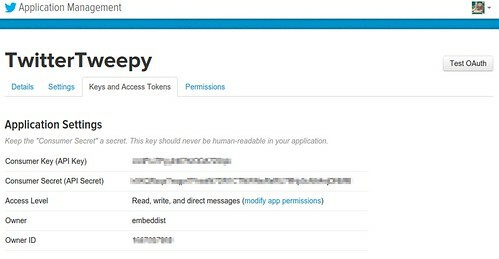 When then new application is created, check your cunsumer Key (API Key) and comsum Secret (API Secret) and modify app permission to Read, Write, and direct messages. We will tweet a post after OAuth. 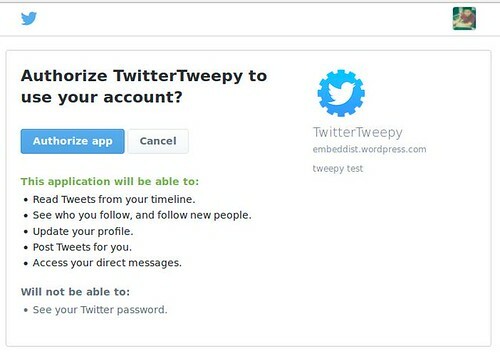 When “webbrowser.open()” is executed, Web-browser is open and sign with your twitter account. Then, click button of “Authoize app” to be able to your application, as like below figure. Next, you can get PIN number for the authorization. You can post on your twitter with update_status() API.